Tales of Grace f is the PlayStation 3 port of the popular Japanese RPG that was originally released on the Wii (only in Japan). The game is part of the long running Tales series with similar gameplay and story elements to the previous instalments in the franchise. In Tales of Grace f players will have the opportunity to explore a fictional world known as Ephinea which is divided into three different countries. You’ll start the game as a mere child as you make friends with some of the core game personalities and also befriend a strange girl with no memory (it wouldn’t be a Japanese role playing game if everybody still had all their memories) named Sophie. Much of this early game childhood is a slow affair and is designed to set the scene for the game. The core experience is set 7 years after your characters childhood as the friends you once held dear as a child once again gravitate towards each other due to the unrest on the continent. Oddly enough Sophie hasn’t aged a day and your once close friend Richard has gone drunk on power. Gameplay is a fairly linear experience but packs a really strong amount of detail into the areas of the world you do get to explore. Between all the dialogue, combat and mini games you can expect to get a good 50hrs from Tales of Grace f which is definitely above average for the genre. Combat is simple on the surface but delivers a good amount of depth for those willing to explore it. 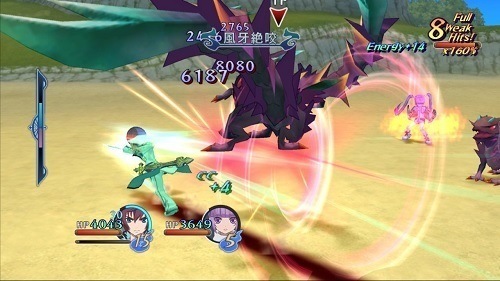 Battles are real time and similar to the previous Tales games uses a mixture of standard attacks and spells to deal damage to enemies. Players can only directly control one character at a time but can switch between them quite easily or let a friend control them instead. The real depth comes from your strategy options which alters the AI and how they respond in combat. You can set a member to always focus the stronger enemy, choose their balance between attacks and spells and decide how defensive you want them to play which opens up plenty of strategy. This strategy is taken even further with the title system which lets you equip certain titles to characters to bestow stat boosts and new skills on them. Titles are mostly unlocked by story progression or by achieving certain combat feats. Tales of Grace f is all about following the story rather than invoking a sense of discovery through exploration so it will be a hit or miss depending on your preferred style. 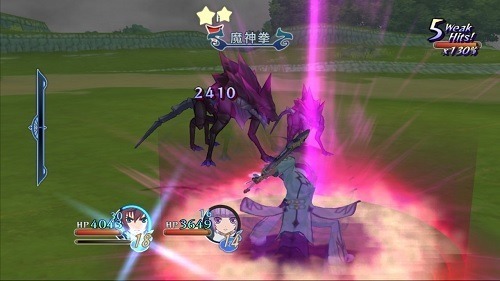 Part of the Tales franchise. Play through your child and adulthood. Plenty of combat depth with options to set the AI preferences. Fast paced combat that features plenty of on screen action.